It's not a bad problem to have. Although the Urus went on sale only last July, a total of 1,761 examples were sold worldwide last year, nearly 500 of them in the US. The Urus was also the main reason for Lamborghini’s 2018 record global sales increase of 51 percent totaling 5,750 units. More than 70 percent of Urus buyers are also first-time Lamborghini buyers. That presents a huge growth opportunity but at the same time, it’s vital for Lamborghini to keep annual production in check. It doesn’t want to dilute the exotic nature of Lamborghini. Ferrari also has the same issue, one of the reasons why longtime and now former CEO and Chairman Luca di Montezemolo was forced out by former CEO Sergio Marchionne, who wanted to increase output. Lamborghini is also part of the VW Groupe empire, so the temptation to build more is certainly there because, quite clearly, there’s lots of money to be made. But Lamborghini is different from, say, Porsche. Though it’s not as exclusive as Bugatti, Lamborghini is far from a mainstream brand. 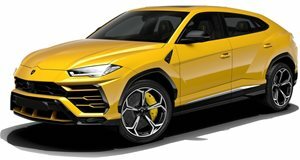 The Urus has the potential to change this, but it appears Foschini and the rest of Lamborghini’s top management have settled on no more than 8,000 total units. Porsche, by contrast, had around 370,000 new vehicle deliveries in 2018.